Santa comes in all forms in Poland and doesn't always deliver presents... 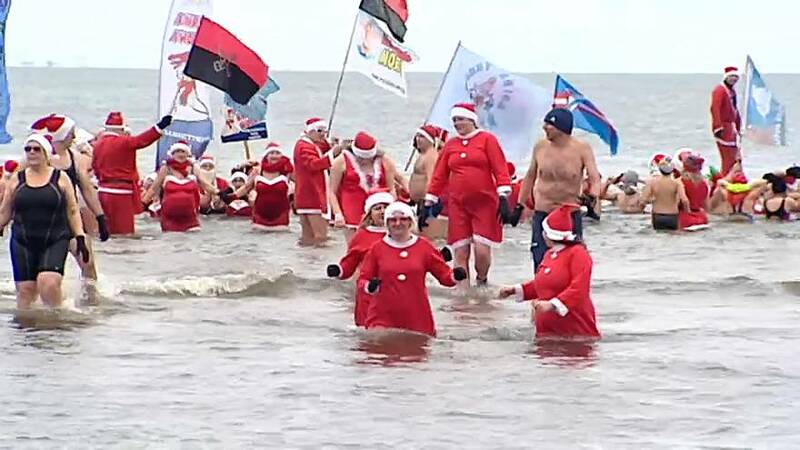 This group gathered on a beach in the north-western city of Swinoujscie to take a dip in the icy waters of the Baltic Sea. Known as 'Walruses', they are all enthusiasts of cold baths and promise to welcome in the new year in the same fashion.